Mattel Inc. took another hit from the liquidation of Toys ‘R’ Us Inc. as revenue fell for a fourth straight quarter and it announced plans to cut 22 per cent of its corporate workforce. The toymaker’s second-quarter sales plunged 14 per cent to US$841 million, the company said on Wednesday, trailing analysts’ projections. The difficult second quarter for Mattel came as major customer Toys ‘R’ Us was expected to finish closing all its U.S. stores after failing to emerge from bankruptcy. Mattel’s gross margin took a hit, falling to 30.4 per cent and trailing analysts’ estimates by almost 8 per centage points. “The gross margin was even worse than we thought,” said Jaime Katz, an analyst for Morningstar Inc. Toys ‘R’ Us was the culprit, she said. The stock fell as much as 9.1 per cent to US$14.80 in after-hours trading. The shares had gained 5.9 per cent this year through Wednesday’s close. The job cuts -- which began this week and will total more than 2,200 -- are part of a US$650 million cost-cutting plan announced last year. The reductions are focused on back-office and support positions, according to Chief Executive Officer Ynon Kreiz, who replaced Margo Georgiadis in April. As part of the spending reductions, Mattel also announced that it’s selling its two factories in Mexico. The company plans to move that production elsewhere. Kreiz is pushing the company away from doing its own manufacturing, so it can spend more on developing intellectual property. Mattel owns about a dozen plants globally. Two bright spots for Mattel in the quarter were Barbie and Hot Wheels, its two biggest brands, which both continued to grow. The doll line’s sales increased 12 per cent, a third straight gain. 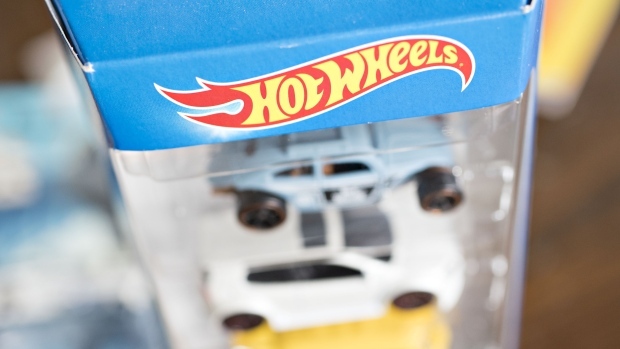 Hot Wheels sales advanced 21 per cent. The company’s adjusted loss was 56 cents a share. Analysts had projected a loss of 31 cents. Kreiz, who comes from the entertainment and media industries, sees Mattel improving in two stages. The company will first continue to reduce costs and return to profitability. Then he wants to get more out of the company’s intellectual property by reviving dormant brands, and expanding others with film and television. A Barbie movie has been in development for years, but was recently delayed.